Flexible and open floor plan makes this Bellemeade home great for entertaining. Formal living and dining rooms, large den and an easy to work in kitchen all combine to fit any lifestyle. The 3 bedrooms are privately located on one side of the house with 2 full baths finished in decorator colors and updated fixtures. 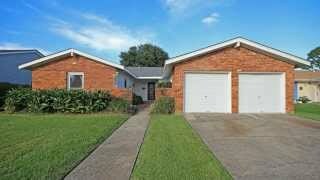 Large deck in fenced backyard, perfect for BBQs and crawfish boils!